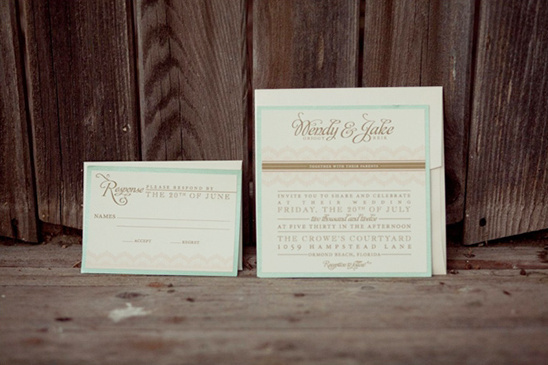 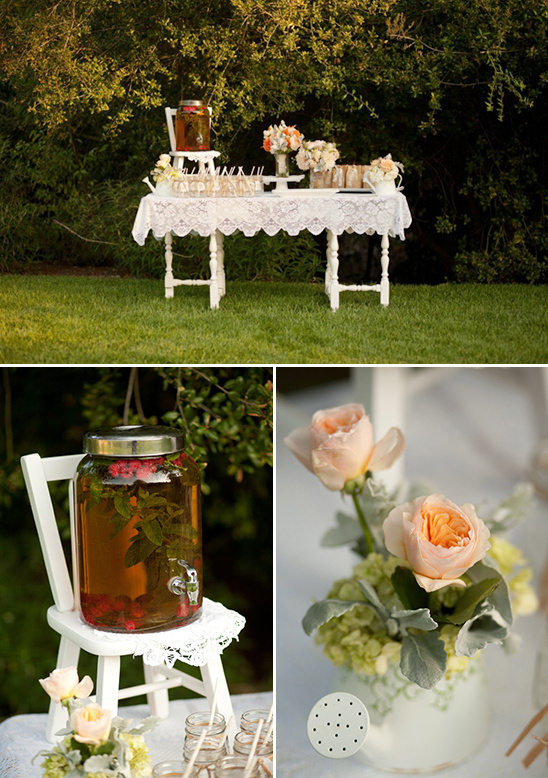 Get inspired for your up and coming spring time backyard wedding with our next feature! 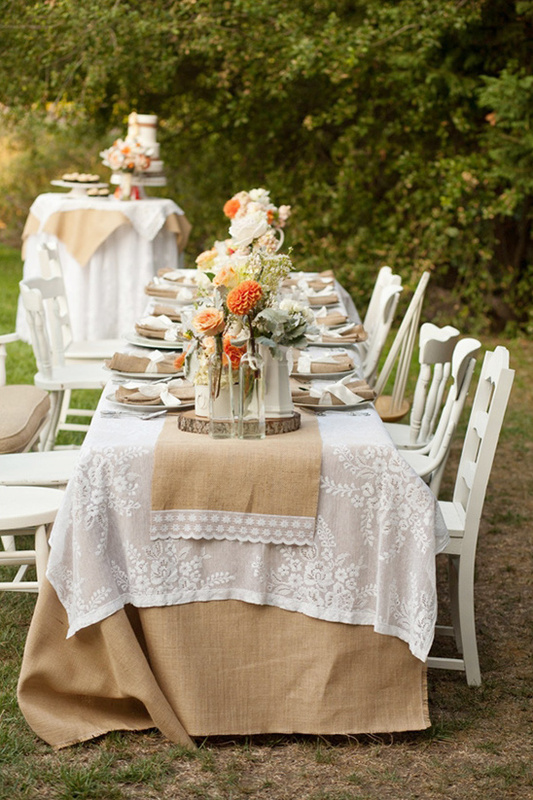 Designed by a group of fabulous southern California wedding vendors including A Belle Affaire who designed this romantic and rustic backyard fete with her extensive collection of vintage, Victorian and shabby chic pieces. 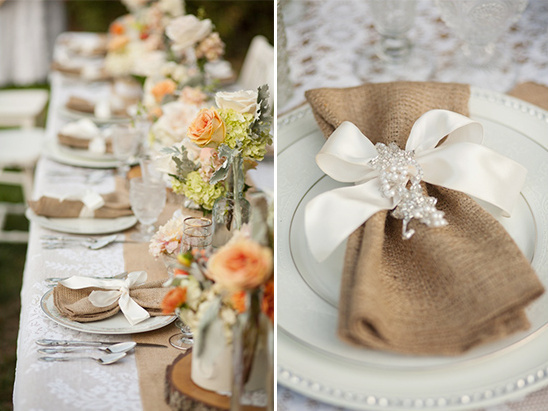 The entire inspirational shoot is overflowing with peach and pink florals and heaps of burlap and lace wedding ideas. 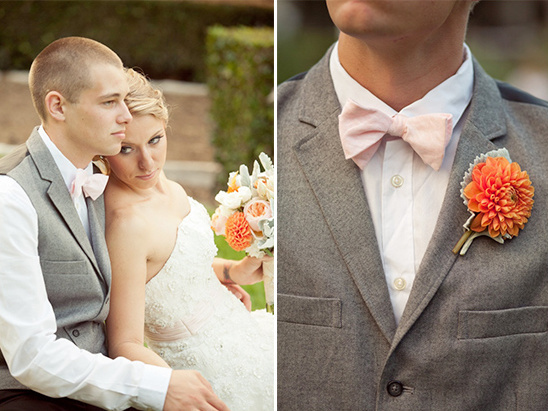 All captured by Temecula Wedding Photographer, Ashley Bee Photography. 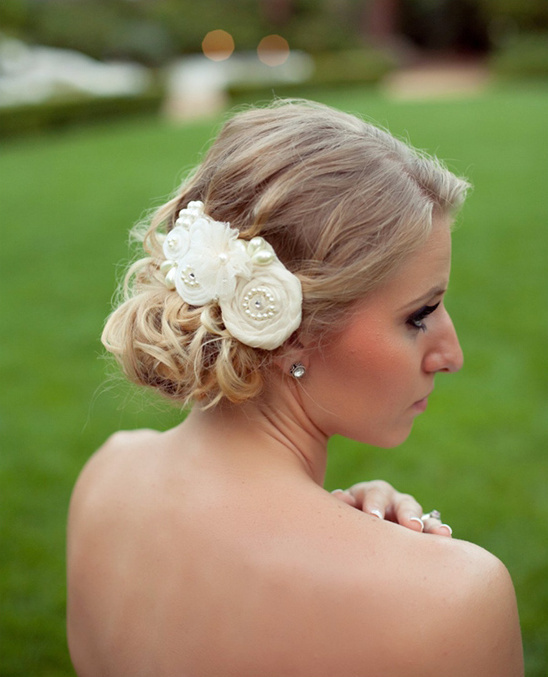 To see more of the photos peruse the full gallery here. 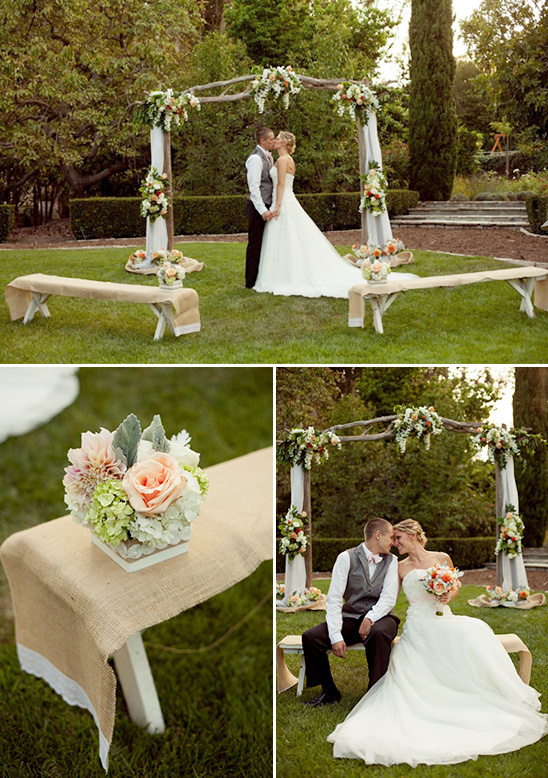 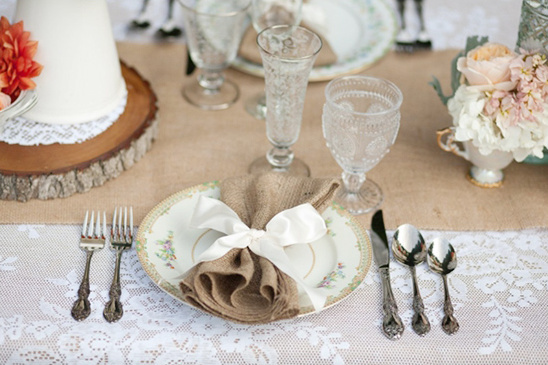 Pairing burlap and lace is not only simple, but can also be ultra romantic and pairs well with most florals. 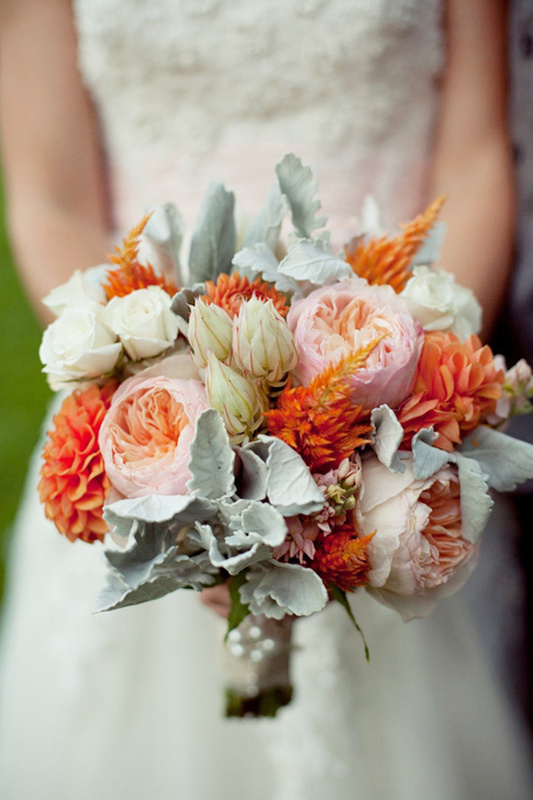 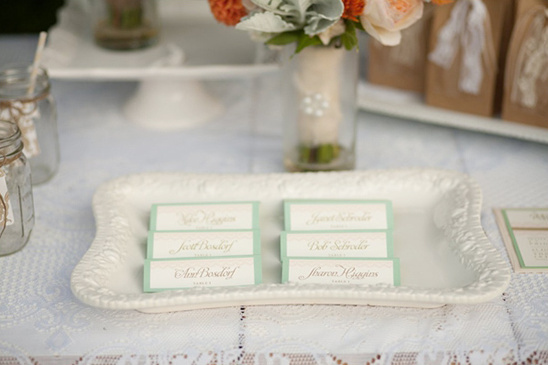 Flower Allie Weddings went with one of our favorite palettes for the florals — peaches, pinks and a hint of mint. 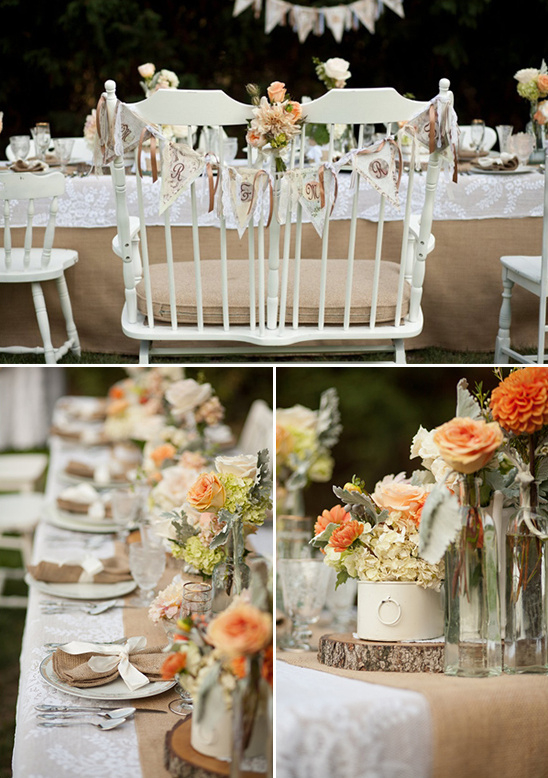 All the pretty blooms were arranged in mismatched vessels and placed on top of wood stumps to create a stunning wedding reception. 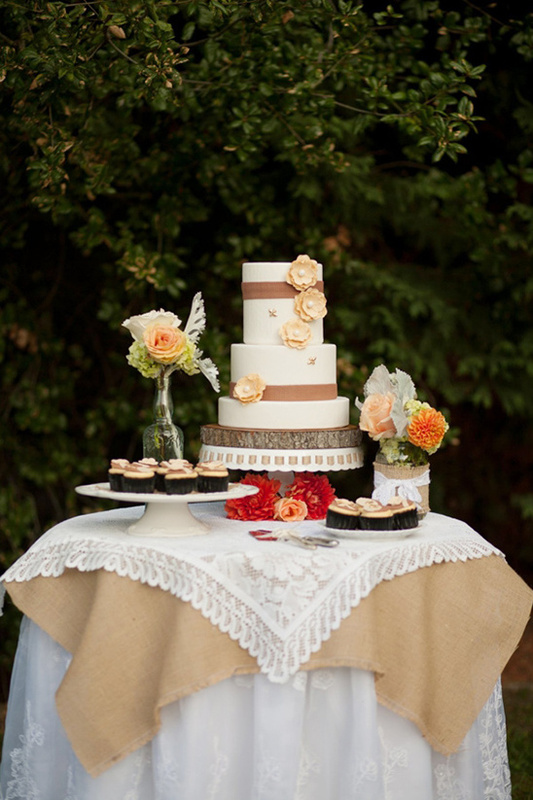 Your cake table can be the centerpiece of your reception, but just like A Belle Affaire used a burlap and lace theme for their cake table, be sure that your dessert table matches the overall theme of your wedding. 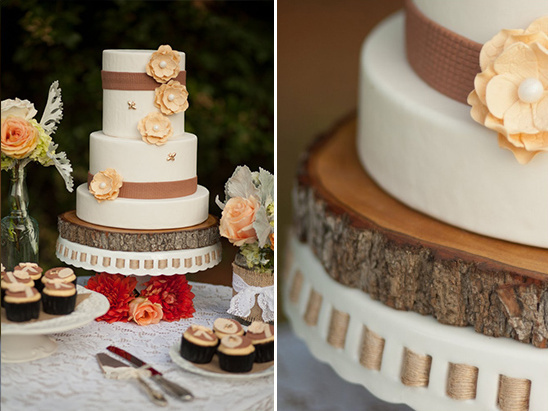 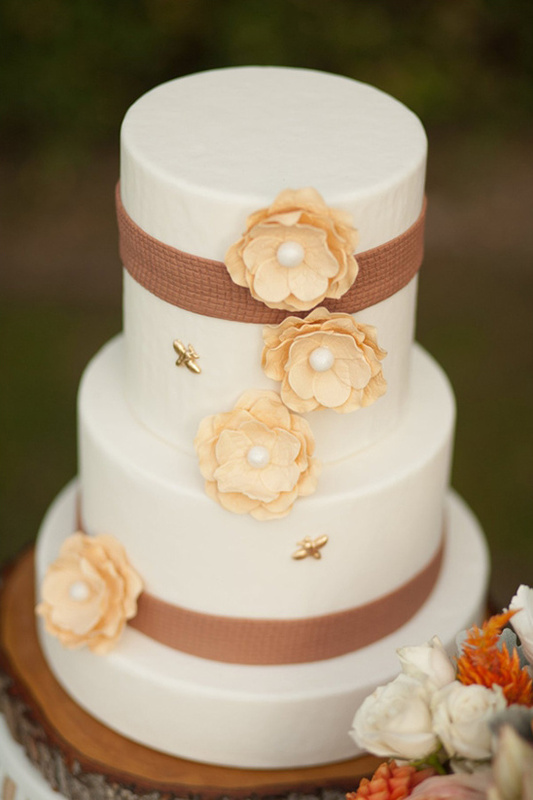 Speaking of cakes: this burlap and floral cake by Leah Bee Cakes goes ever so perfectly with the entire look and feel of the day.